The likes of Prosper and SoFi found cryptocurrency technology stealing the limelight at their annual get-together. Traditional banks were once unsure whether to take the hyped upstarts seriously. The maturing fintech players now face a similar dilemma with blockchain. 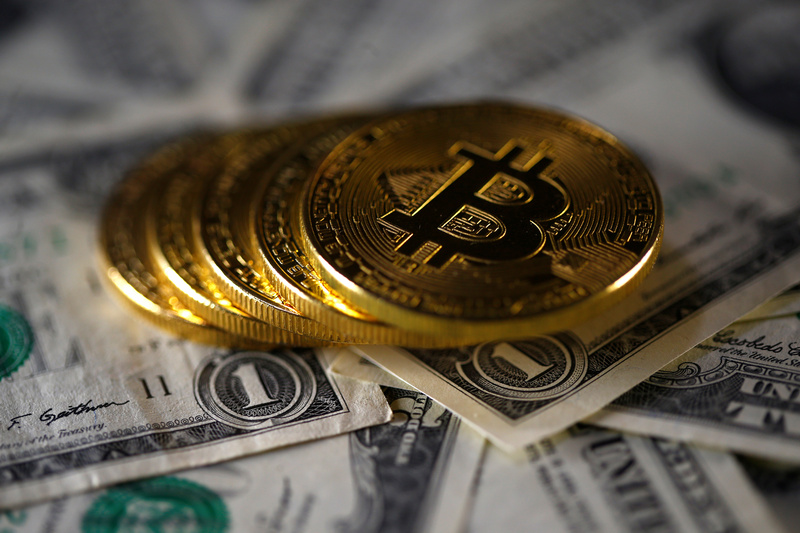 Bitcoin (virtual currency) coins placed on Dollar banknotes are seen in this illustration picture, November 6, 2017. The LendIt Fintech USA 2018 conference is being held in San Francisco from April 9-11. The name of the annual event has changed since last year, when it was simply called LendIt. This year's agenda included far more panels and events on blockchain and cryptocurrencies than in the past.